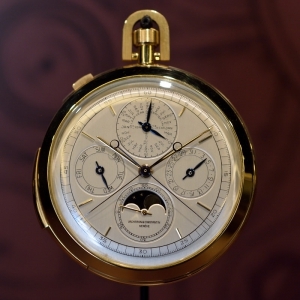 There was a time when every function and complication in horology was made as a response of a great mind to real-life necessities. 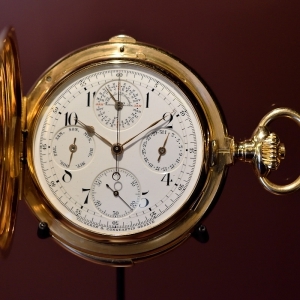 Today, when you have even more precise alternatives, these rather sculpt the soul of mechanical watches. 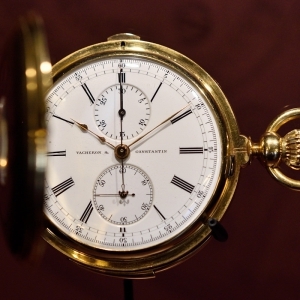 The tourbillon, for example, was invented to trick gravity by averaging out its effect on the rotating balance wheel in order to increase timekeeping accuracy. 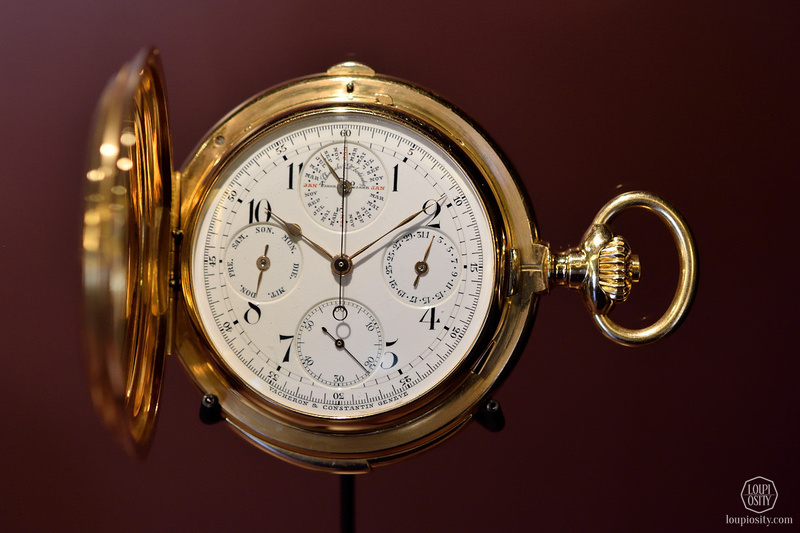 The massive development of marine chronometers between 1750 and 1770 by British John Harrison and his French contemporaries Ferdinand Berthoud and Pierre Le Roy allowed for the measurement of a reference location’s time (such as GMT) with certainty even under rough conditions at sea far away from home, which led to the reliable positioning of ships. 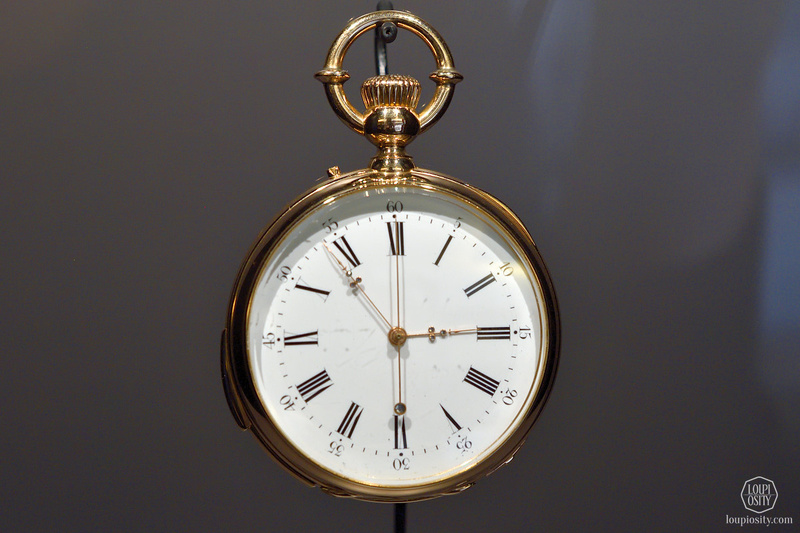 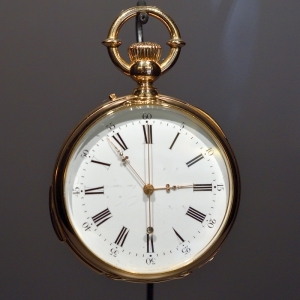 And before the convenience of electric lighting, minute repeaters told the time in the dark by the push of a button. 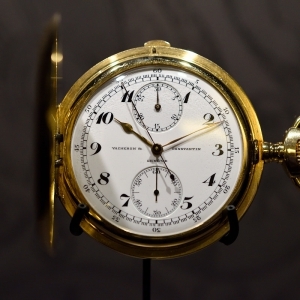 Chronographs came to life also with a mission: to measure lapsed time. 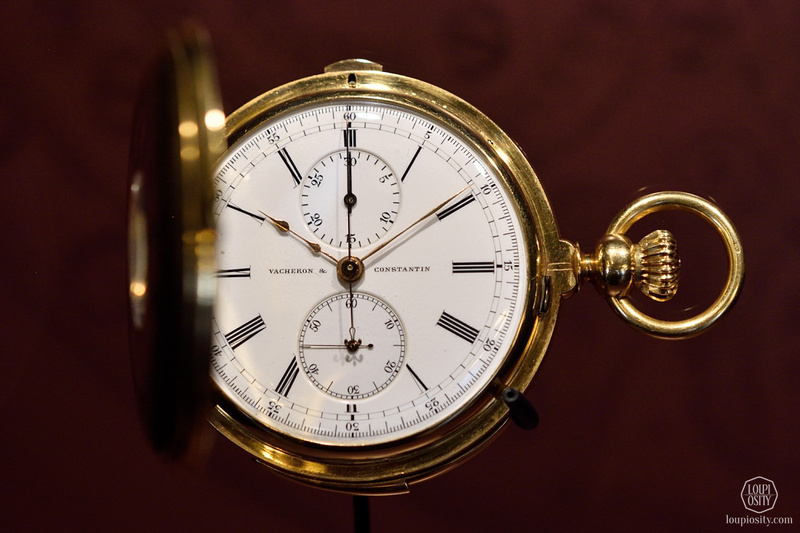 The mechanism can be started, stopped and returned to zero on demand to measure a duration to one fifth, tenth or even hundredth of a second. 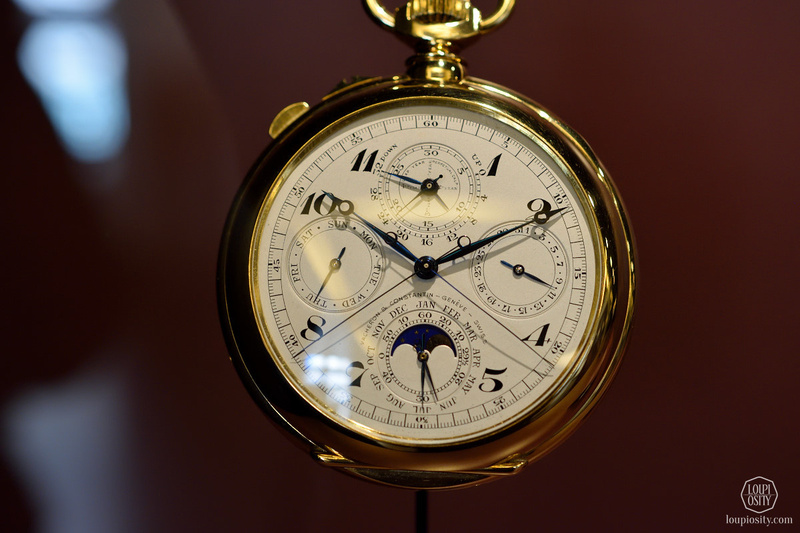 Louis Moinet designed it in 1816 to track astronomical objects, but soon it was given new tasks, like measuring runs on horse, and later car races, of course. 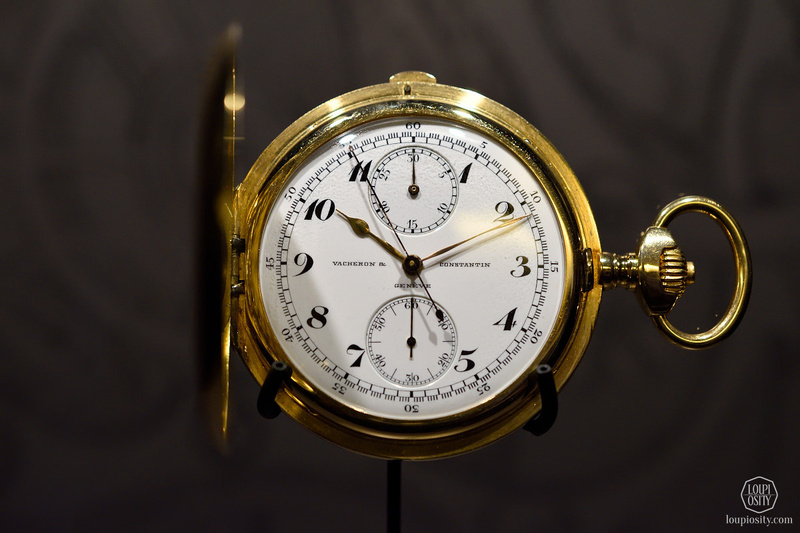 Aviation and the navy also made a good use of chronographs that allowed time, distance and speed to be measured. 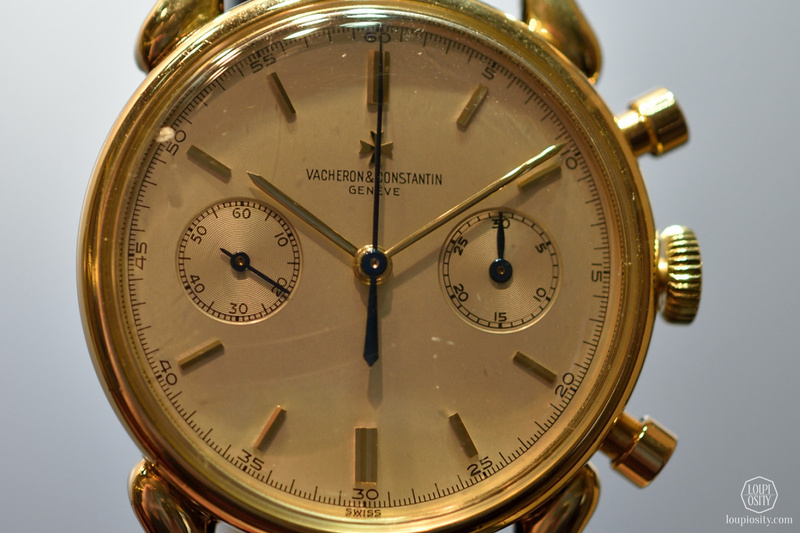 Around 60 timepieces from Vacheron Constantin’s private collection show us the history and the different usage of chronographs over time in the boutique on the Quai de l’Ile. 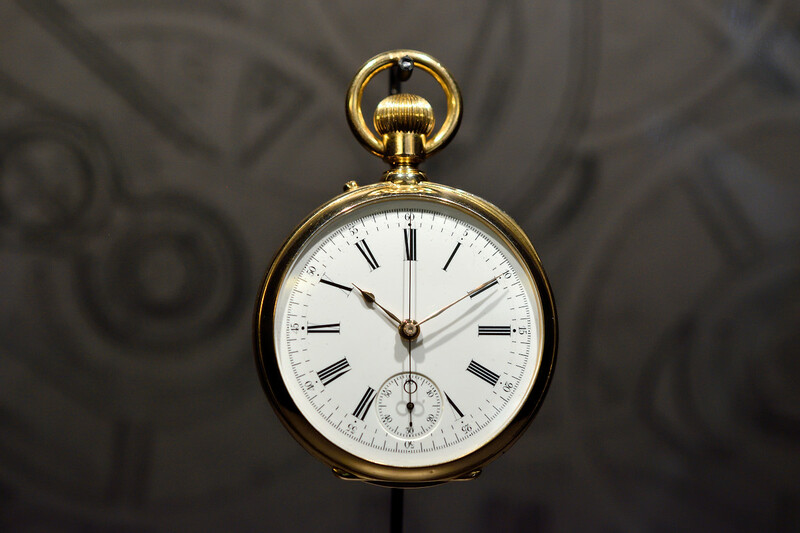 The pieces are exhibited focusing on a few key topics: we started the “chrono-tour” with the simple pocket watches dating back to the middle of 1800’s. 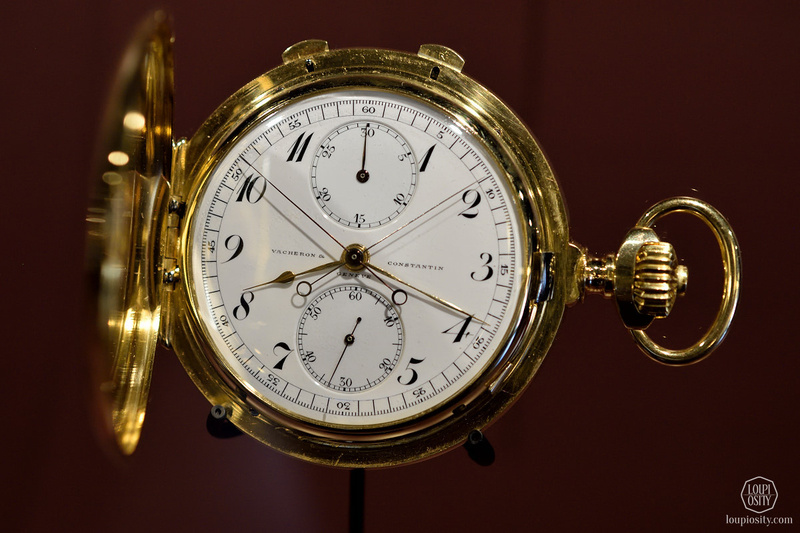 Simple and complicated wristwatches were on display. 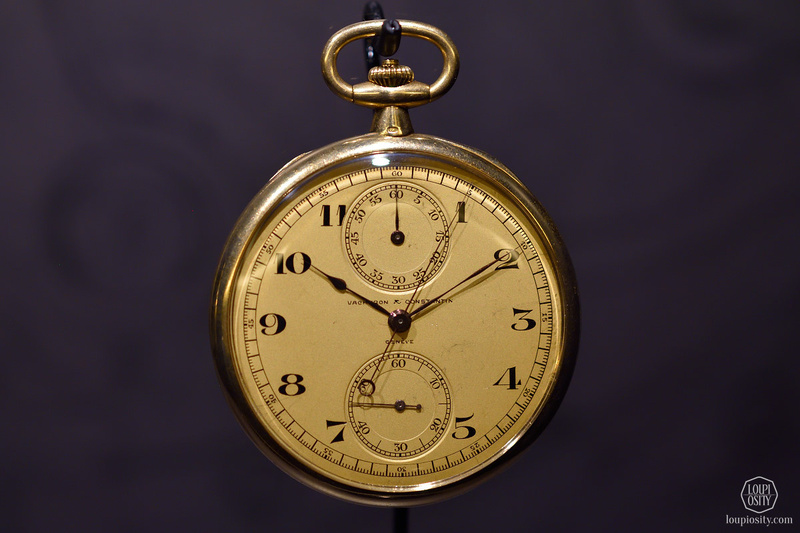 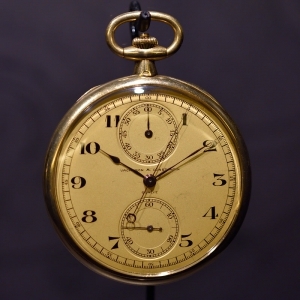 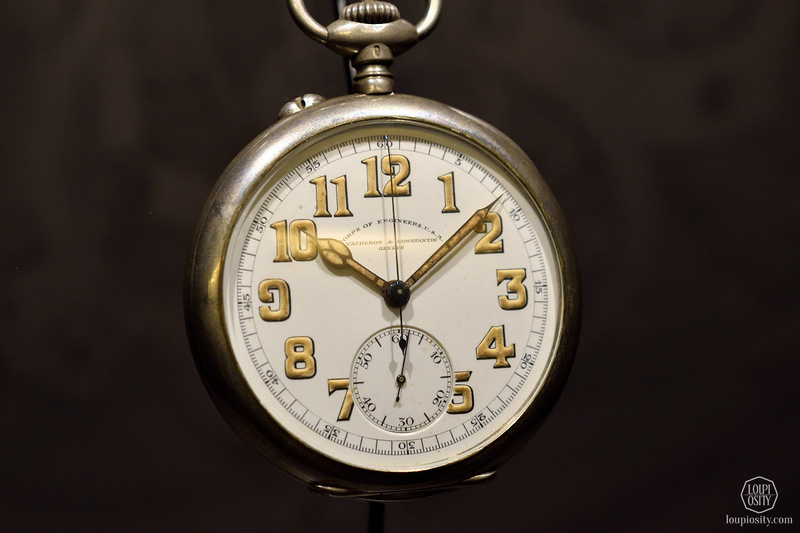 Documents show that the first chronograph wristwatches emerged in the 1910’s but they became popular after the WWI. 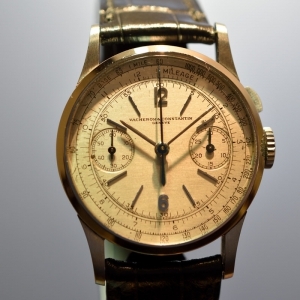 These watches also serve as great inspiration for the Maison, for example the reference 6087 (with ‘cornes de vache’/cow horns lugs) from the 50s is a highly coveted chronograph among collectors. 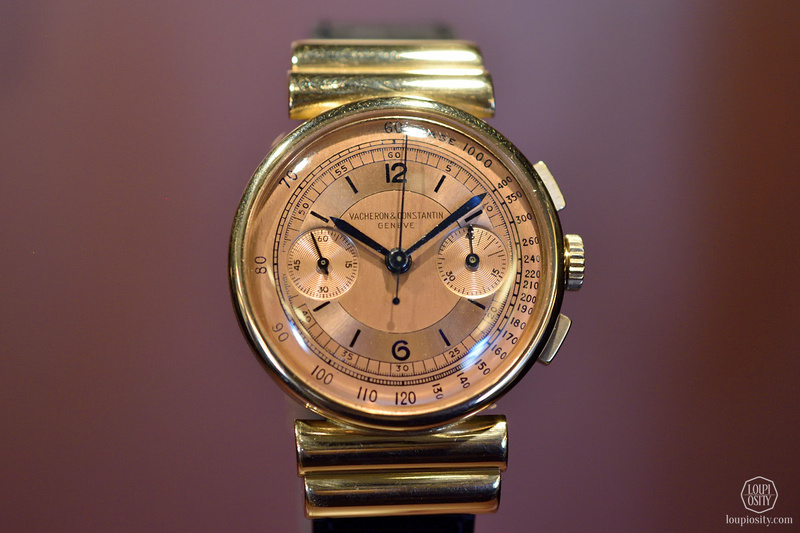 The great successor of this watch was presented earlier this year at Watches and Wonders, the Historiques “Cornes de Vache 1955”. 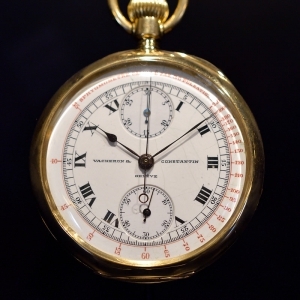 After that come the timepieces with different ‘scales’ such as tachymeters (a scale for reading speed in kilometres per hour or another unit), telemeters (measuring the distance between an event and an observer based on the speed of sound), pulsometers (measuring the number of heart beats per minute) or sphygmometer (a blood pressure measuring instrument, originating from the Greek word “sphygmos”, meaning pulse). 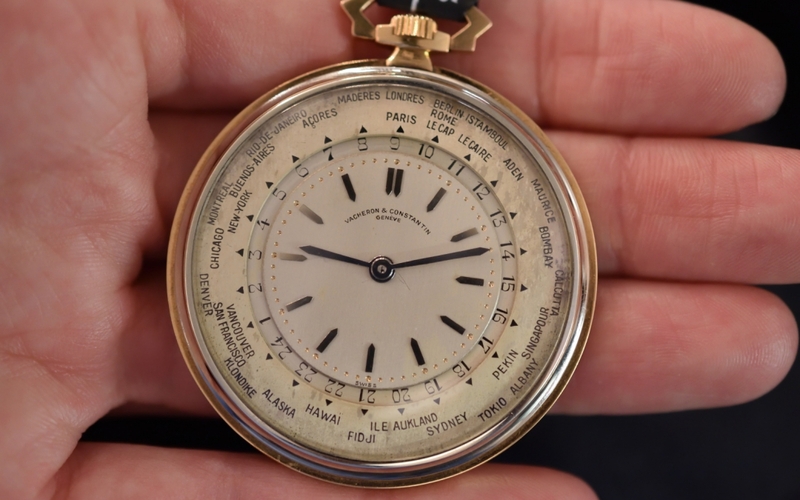 All these additional functions were added not only as a mechanical feat, but they perfectly served both the wearer and the occasion; in appearance (from the most simple but perfectly balanced looking versions to the very elegant “dress-timepieces”), legibility and comfort. 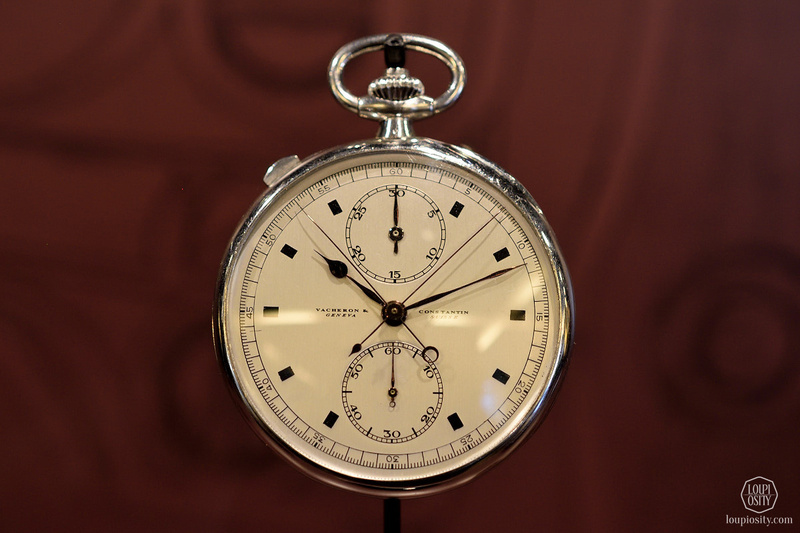 The exhibition includes monopushers and split-seconds chronographs as well. 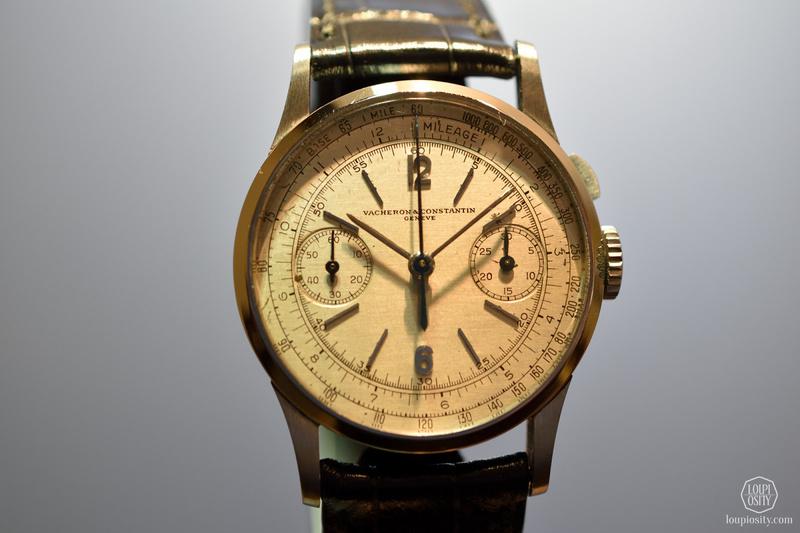 The monopusher chronographs are sometimes mistaken for being more complicated mechanisms than the two-pusher chronograph systems. 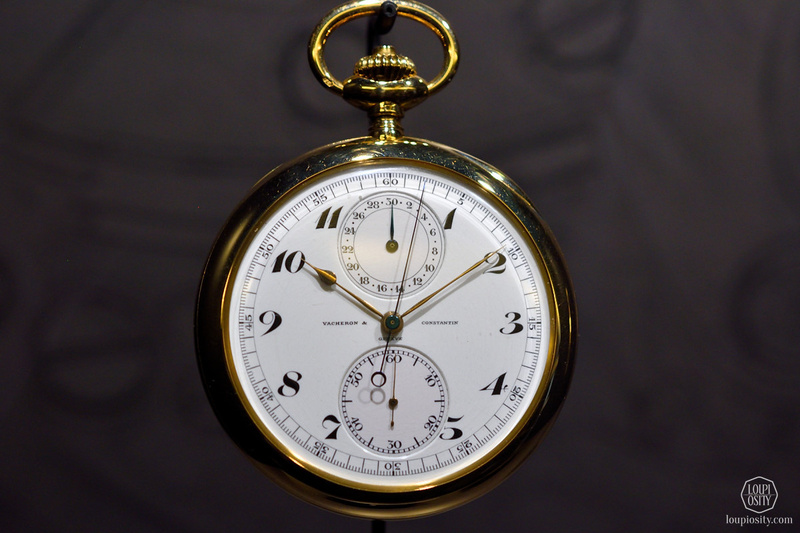 In fact this is an earlier and simpler invention to start, stop and reset the chronograph function. 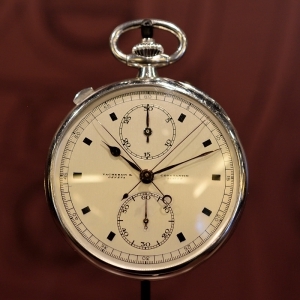 In 1933 patents were filed for a chronograph with two push-buttons by Breitling – a start and stop button and a separate reset button. 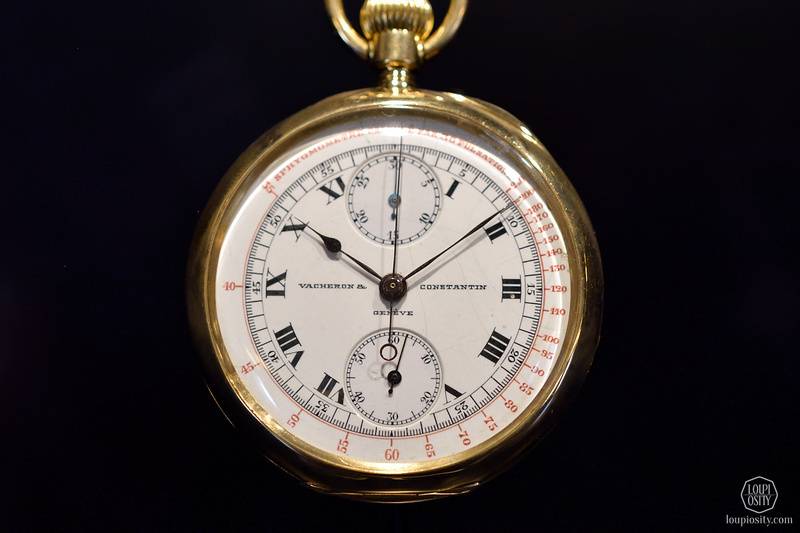 The split-seconds (also known Rattrapante) chronograph includes two separate mechanisms (and two seconds hands) to time two separate events of different durations. 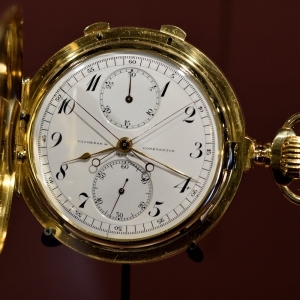 All these timepieces but even more specifically the last chapter of the exhibition, the high complications presented the mastery of Vacheron Constantin very well. 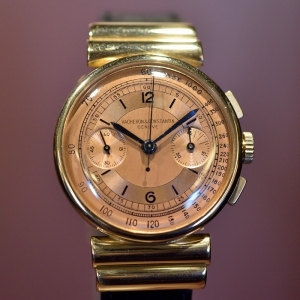 And it shows a kind of “natural” route to the most complicated watch: the “Reference 57260”. 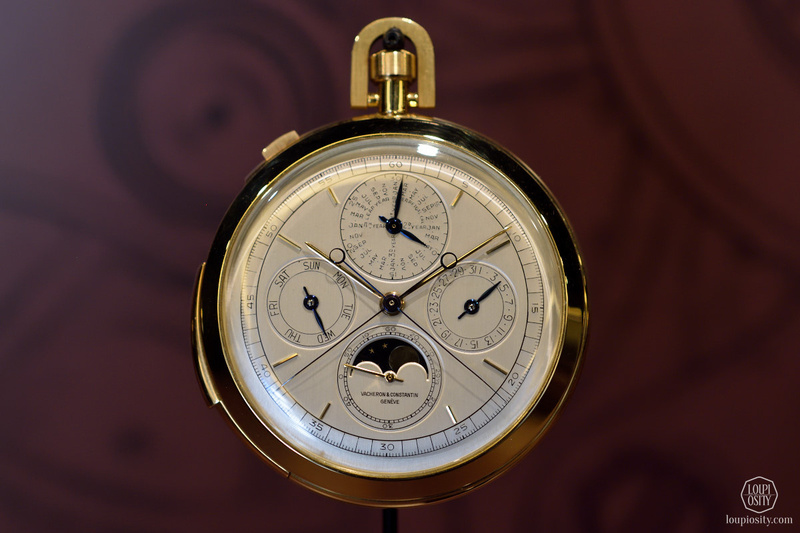 Elegance in motion You can still discover the "Elegance in motion" exhibition of Vacheron Constantin in Geneva, which reveals aesthetic and technical developments of the Maison in the spirit of travelling. 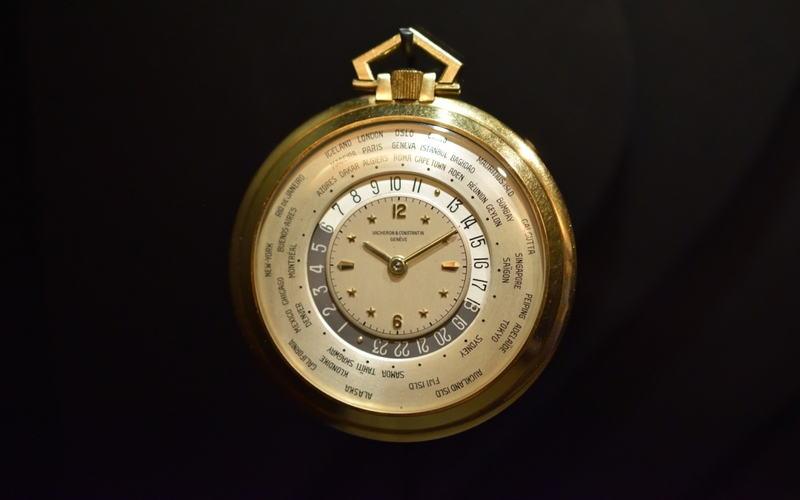 Phillips Geneva Watch Auction: Five – Vacheron… We dedicated a few articles to the Geneva Auction Five of Phillips Watches. 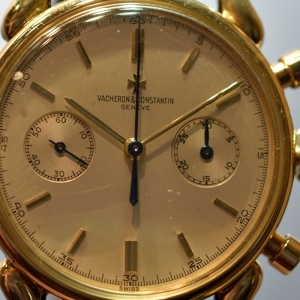 The following selection is about beautiful Vacheron Constantin vintage timepieces. 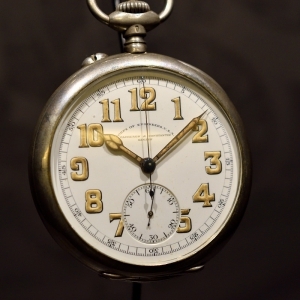 Start. 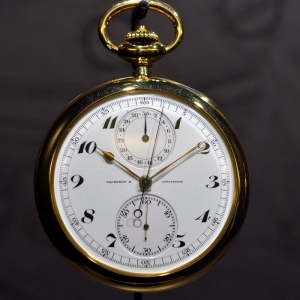 Stop. 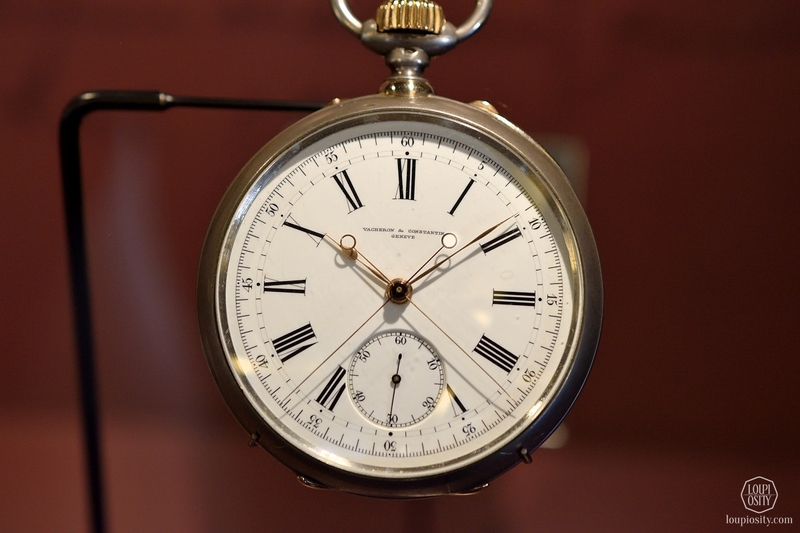 Reset. 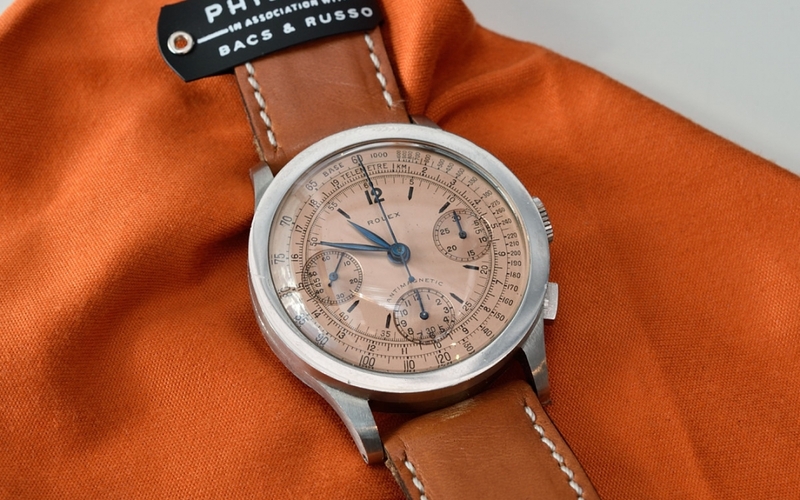 We previewed the lots of Phillips Watches' 14 May auction, entitled START-STOP-RESET: 88 Epic Stainless Steel Chronographs.